Jorge Masvidal for president in 2020. The Sunday Morning Rumor Mill supports MMA rumors Gamebred’s nomination for the President of the United States of America. And to the republic for which it stands. One nation, under Miami Hustle. For liberty, justice, and McDonald’s dollar menu for all. 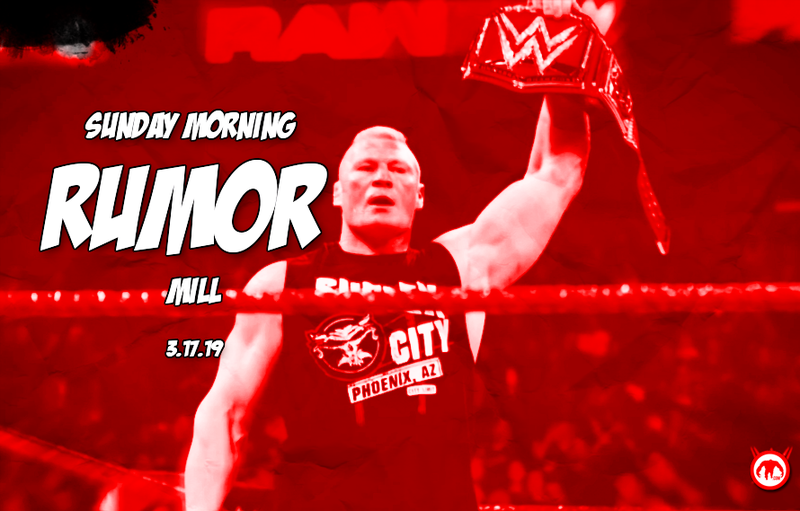 Kick off Spring Break right with a South Beach poolside brunch with your Sunday Morning Rumor Mill. Rumor is Conor McGregor’s recent arrest will not effect his return to the UFC. Rumors point to the UFC knowing about Tony Ferguson personal problems for months now. To their credit the UFC is working closely with Ferguson to get him the help he and his family needs. Jorge Masvidal’s upset of Darren Till has shaken up the UFC’s plan at welterweight. Rumors are Masvidal may now be in line for a title shot, while Till lost out on a number one contender’s with Ben Askren. Huge if true, but word is Brock Lesnar has still not signed a new deal with WWE. The door may be open again for a UFC fight as soon as July.